ibis budget Wentworthville is located 27km west of Sydney city, adjacent to Wentworthville Leagues Club, 5 minutes from West Mead Hospital, 10 minutes from Wet 'n' Wild Sydney and within easy walking distance of local transport, restaurants and shopping. Now offering free in-room WiFi access. Located ten minutes from Parramatta and 45 minutes from Sydney CBD, ibis budget Wentworthville provides an excellent base for visitors looking to explore Sydney and its surrounds. The hotel is just minutes from Wentworthville's shops and restaurants, and is an easy drive from Wet'n'Wild Sydney and Sydney Motorsport Park. Guests staying at this affordable Sydney hotel can discover the vibrant hub of Parramatta, or travel further in to Sydney to explore its many shops, restaurants and famous attractions. With its convenient location, ibis budget Wentworthville provides easy access to Sydney and its surrounds. The hotel is ten minutes from Wet'n'Wild Sydney, 15 minutes from Sydney Olympic Park and Parramatta, and just 45 minutes from Sydney city centre. 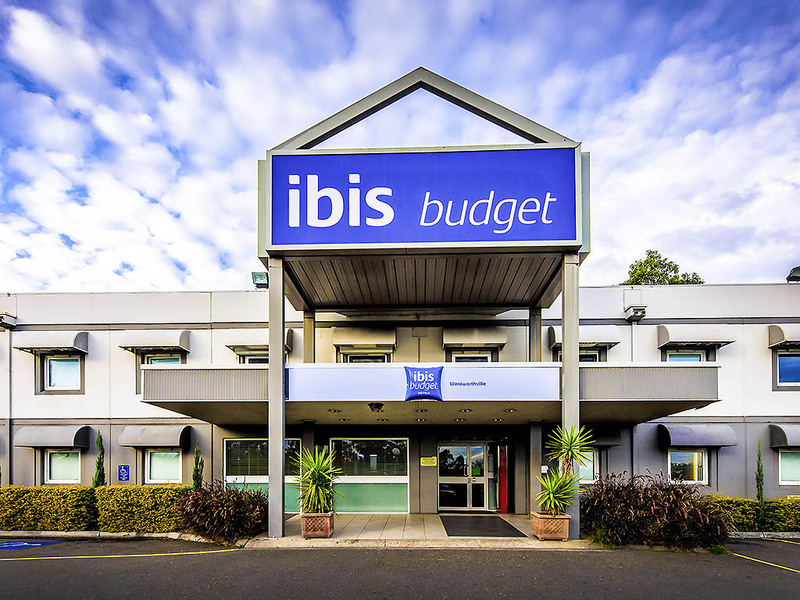 Guests staying at ibis budget Wentworthville have a wide range of accommodation options to choose from, with various configurations offering accommodation for up to two or three guests. Each room features a modern ensuite, air conditioning, a TV and Wi-Fi access. This contemporary Sydney hotel also has two reduced mobility guest rooms, and one Family Room, which is made up of one Queen bed, a set of bunk beds and a sofa bed, and features a private ensuite, a dining table, a mini fridge and an LCD TV. Staff were very friendly and polite. Will stay there again. It was ok. The bed was comfy. there could of been more coffee Tea sugar & milk put in the rooms. Shower water was hopeless. Girls at the front desk were great. Room a little bit small, beds very comfortable, card wouldn't work on main door or room door early on Sunday morning, we tried to get in for half an hour lucky another man came along and got his card from machine at door and that got us in, and Lucky my father was already in my room because card wouldn't work again there. The room and surrounds were clean and felt safe. While the room was clean the bed was very uncomfortable as the mattress was old and saggy. In fact I was physically unable to sleep on one side of it and had to swap with my roomie. Corner room on second floor impossible to sleep due to noise, bunk overhead very poorly placed. We travel to Sydney regularly for hospital visits for our 4 year old son. Usually we stay at Ronald McDonald House at Westmead. Unfortunately they were unable to accomodate us this time. As we are required to be at the hospital early, we prefer to stay nearby to avoid lengthy travel times in the morning. Ibis Budget Wentworthville was the only hotel with a room available within a decent proximity. We checked in and went upstairs to the room. The hallway was gritty and bare concrete. The stench of cigarettes was strong however it was overpowering when we entered our room. So much so that my eyes watered. Our son has a lung condition and is sensitive to strong odours that make him cough. Fortunately the ladies on the front desk were understanding and allowed us to switch to another room. On entering the new room it was blatantly obvious that someone had just sprayed air freshener in there. It was late and after leaving the door open the scent had dissipated enough to be in the room. The overall cleanliness of the room was less than ideal. The fridge seal didn’t work properly so the fridge wasn’t able to close fully. Upon waking in the morning, there were ants crawling all over our toothbrushes and toothpaste which were on the sink. We rose early because we didn’t want to spend more time in the room than we had to. Sure it’s budget, but budget doesn’t have to mean lacking in basic cleanliness. Definitely disappointed as we have stayed at the Sydney Airport Ibis Budget, so knew that the rooms were small, but at least it the Airport Ibis Budget was clean and didn’t stink. 1. The shower rose was broken and only gave a blast of water, Unit 253. 2. The air conditioner control did not work sometimes as the batteries at the back kept falling out as the slide cover was not there. 3. No lift, why? The staff were friendly and helpful and the room was clean and tidy. Overall stay was good. Front office staff were very helpful and polite. Rooms are small and dated but sheets were clean and for the price we paid more than adequate. The checkin was fine, room was basic but the cleanliness needs to be improved. Was checked in to an ambulant room. The tiles in the shower area were cracked and grout was black, needs a deep clean. The walls i the room need to repainted as there was lots of body fluid remnants on various walls. The air vent needs to be cleaned and the television did not work.